The striking ace-of-hearts flower is another ornamental for the garden. 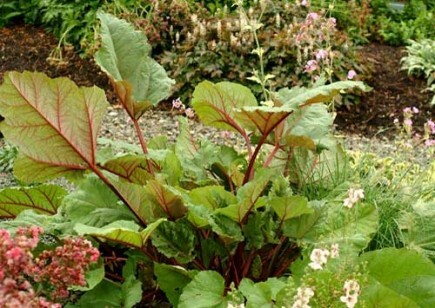 This rhubarb polygonaceae adds gorgeous foliage to your garden in beautiful red tones. It is also referred to as the ace-of-spades. Some think the leaves are heart shaped, and some think they are shaped like spades. Call it what you will, it is a beautiful plant regardless. From the polygonaceae family, this plant is just a nice size for a small garden. The striking foliage certainly stands out in a small space. These plants should be planted at least three feet apart, and they thrive in full sun to part shade. The area must be kept moist and the soil rich in humus. 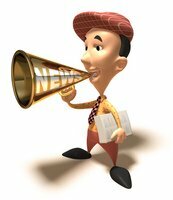 if you are in a dry environment. It needs good watering, but must be in an area with good drainage as well. The colorful impact of this brand of rhubarb is amazing. 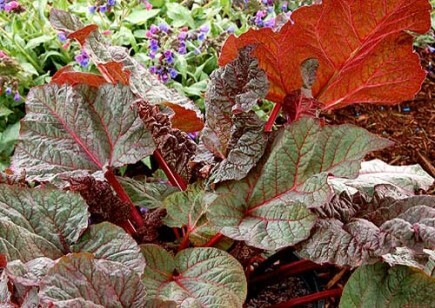 The leaves are so green and the undersides of the plant leaves are a combination of deep red or rich burgundy. The leaves can be heavily veined, which adds to the contrasting colors. The duration of this lovely variety of rheum is normally from April to June. Not long enough I know, but isn't that the way with most beautiful perennials? Towards the end of its time, spikey tall flowers emerge from the plant in June. The flowers are small and pinkish. Fertilization can be done once every spring. No more needed until the following year. Another good thing about these plants is that they are known for being practically pest and disease free. They seem to be rather low maintenance once established. 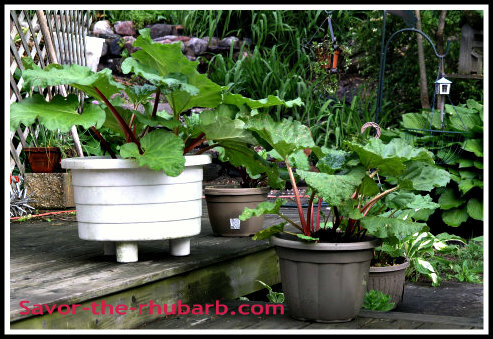 Consider the ace of hearts rhubarb plant as a lovely ornamental to add to the beauty of your garden.